Novozámecký fishpond, with its extensive reed stands, wet meadows and willow carr, is one of the most important ornithological sites in the Czech Republic. Břehyňský fishpond, found on peaty soils within a forest complex, is surrounded by extensive reed stands, fens, alder carr and waterlogged pine and spruce forest; it is also a valuable ornithological site. Thanks to the occurrence of endangered plant species and rare plant communities, both sites are also highly valuable botanically. Both fishponds, dating back to the 14th century, were constructed on the sites of peaty wetlands. Both fishponds are situated in the Bohemian Chalk Plateau in the parts 'Ralská pahorkatina' and Českolipská kotlina'. The subbasement if formed by Turonian thick-bedded sandstone. The fishponds were founded in the place of peaty wetlands in 14th century. The climate is moderate, the average annual air temperature is 7° C, and the average annual rainfall is 650 mm. The vegetation, for many decades, has been left to develop through spontaneous succession. Reed beds and alder carrs, at Novozámecký fishpond, have spread substantially, at the expense of formerly managed fen and peaty meadows. 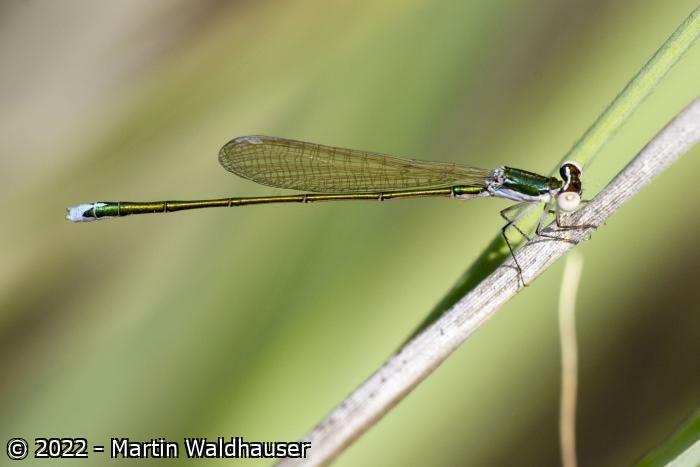 This has led to a change in bird species and the almost entire disappearance of several fen plant species that are endangered in the Czech Republic as a whole. On the Břehyně fishpond, valuable wet and peaty meadows are being overgrown by Phragmites, Molinia, various bushes and trees. Both fishponds used to be rather intensively-managed for fish production, which has led to their increased eutrophication - resulting in the rich growth of Nuphar lutea, on Novozámecký fishpond, and Myriophyllum spicatum on Břehyně fishpond. The Ramsar site is part of the National Nature Reserve (NNR) Novozámecký fishpond (350 ha, designated in 1933) and NNR Břehyně-Pecopala (903.5 ha, designated in 1967). 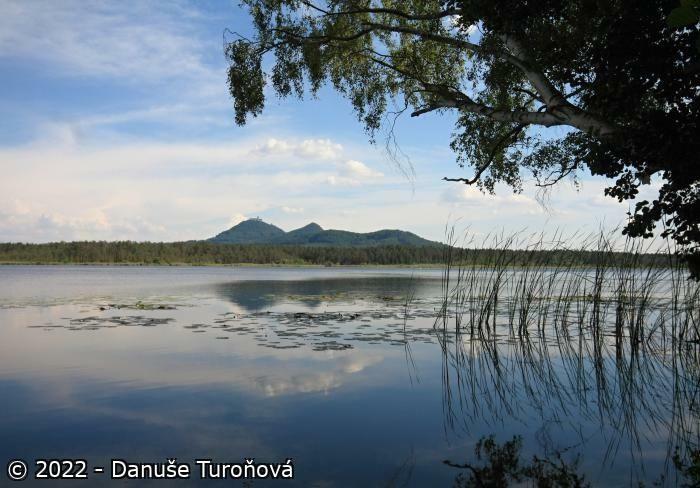 It is planned to enlarge the current Ramsar site to include the fen areas, Jestřebské slatiny and Swamp, and the northern and southeastern bay of Máchovo lake. Novozámecký fishpond underwent restoration/reconstruction during 1997–1998. It included restoration of the replica of the historical outflow system and fish harvest landing area of the fishpond, the work being funded from national sources for nature protection and Ramsar Small Grant Fund. Management of both fishponds follows the recommendations for managing the national nature reserves. Management of adjacent forests is undertaken on the basis of forest management plans made in agreement with the state nature protection authorities. The main problem of the site is the increased siltation and eutrophication of the fishponds. This is a result of the intensive fish production undertaken in the fishponds in the past, and the leaching of nutrients from the surrounding landscape, as well as the discharge of untreated wastewater to the inflow streams of the fishponds. Accumulation of water from the surroundings. Fish production is of negligible importance. Novozámecký fishpond is a Cultural Heritage site of the 1st category (No. 3407/1-3) since 1964. The open water of Novozámecký fishpond is covered by aquatic vegetation dominated by Nuphar lutea accompanied by Nymphaea candida. An extensive reed belt forms a transition zone between the open water and adjacent waterlogged peaty meadows, willow and alder carr. The site attracted the attention of botanists already in the 19th century; presently the fishpond and its surrounding support about 40 species of endangered plants. Critically-endangered plant species found here are: Carex dioica, Dryopteris cristata, Eleocharis quinqueflora, Liparis loeselii, Nymphaea candida and Salix repens s. s. From Břehyně fishpond, about 30 plant associations have been described; however, some of them have since disappeared. The most valuable are the plant communities on mires, pine forest on peaty soils, wet meadows and sedges. Among the endangered species, the most important are: Andromeda polifolia, Dactylorhiza incarnata, Drosera rotundifolia, Dryopteris cristata, Hammarbya paludosa, Ledum palustre, Liparis loeselii, Nymphaea candida, Rhynchospora alba, etc. The site is unique for the appearance of Chara aspera (as the only site in the Czech Republic). Both fishponds represent the most valuable bird areas in northern Bohemia, both as breeding sites (Grus grus – in recent years a minimum of 2– 3 pairs, Botaurus stellaris, Anser anser, Haliaeetus albicilla, Circus aeruginosus, Locustella luscinioides, Panurus biarmicus), and as stop-over sites on migration (more than 200 species have been observed here). Mammals – Lutra lutra. Amphibians – Bufo calamita (in the vicinity of Břehyňský fishpond), Pelobates fuscus, Rana temporaria, R. dalmatina, and R. ridibunda. Invertebrates: molluscs – Gyraulus laevis. Also, the transitional mires on the S and SE shore of the Břehyňský fishpond are important for fauna. Recorded here were unique spiders such as Theridion conigerum (the only record in the Czech Republic), and Haplodrassus moderatus (the only locality in the Czech Republic apart from Šumava). Břehyňský fishpond – spiders: Chryso conigerum, Gnaphosa nigerrim, Gonatium rubens, Haplodrassus moderatus, Hygrolycosa rubrofasciata, Theonoe minutissima, Tibellus maritimus. Insects: beetles – Agonum ericeti, Epaphius rivularis, Oodes gracilis, Patrobus assimilis; butterflies – the only site in the Czech Republic with Phyllonorycter anderidae. A systematic ornithological monitoring has been carried out at both sites since 1955. A field station is situated in the Břehyňský fishpond nature reserve. 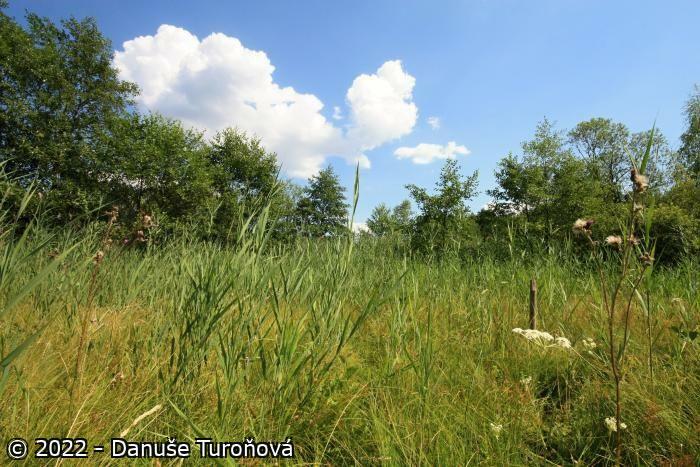 A study into population dynamics of Orchideaceae is being carried out in Novozámecký fishpond area. The north-western bank of Břehyňský fishpond is used for recreation to a small extent. Wetlands hosting rare and endangered species of plants and animals. Ramsar criteria: 2.